Members of SourDough are from very different places within the UK, but all met at Exeter University and now call Exeter home. It is this concept of having an original place you have come from, a special place you call your hometown that we found so interesting. 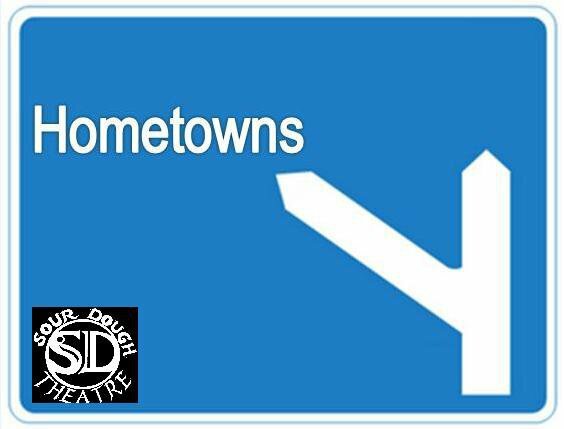 A hometown is something that everyone shares but we used our examples to allow the audience to reflect on their own. Indeed at the start of the piece the audience were invited to the performance space to mark their hometown on a map and talk about it with each other and ourselves. We examined several elements of the concept from the meaning of the word to how your town made you feel. 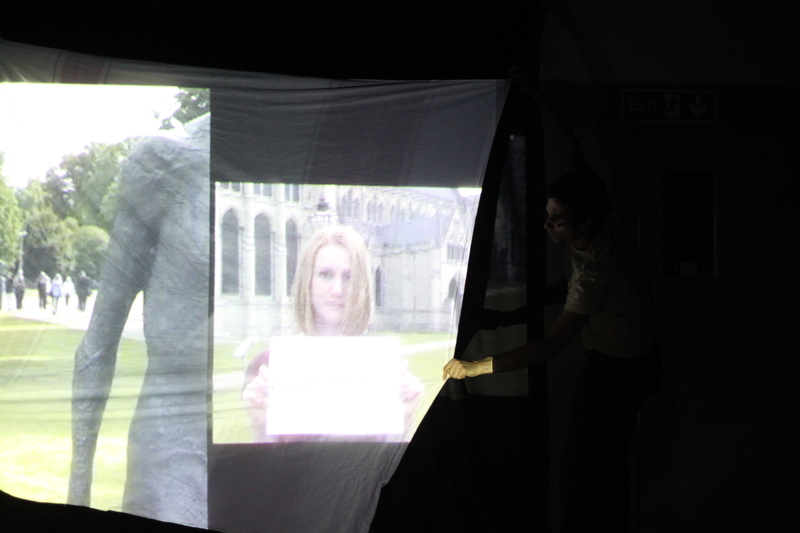 We made strong use of multimedia but at the same time kept our ‘showing the strings’ approach with ourselves running it all from a projector and laptop at the front of the stage, or by keeping the videos simple and not having a projection screen – simply lifting up a sheet or letting the image rest on the black curtain at the back. The piece was looked on quite favourably in Barnstaple, and at the Exeter Fringe Festival, but while it was certainly pleasant and enjoyable, it lacked the depth or conflict to really take it further, at least in its current form.